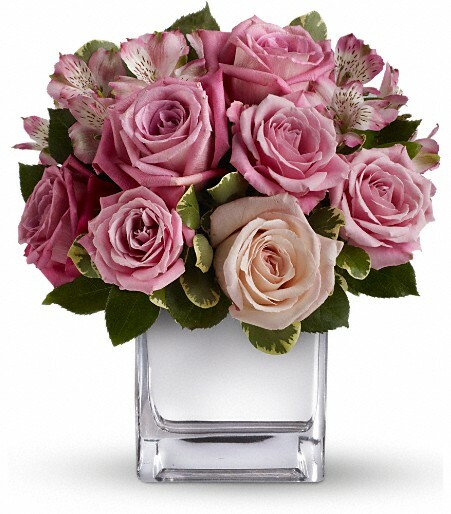 A divine mix of lavender roses, plus pink and blue blossoms – with a touch of seeded eucalyptus – will seem as if it were “scent” straight from heaven! 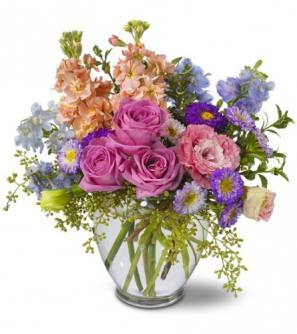 This lovely bouquet will be received with open arms. 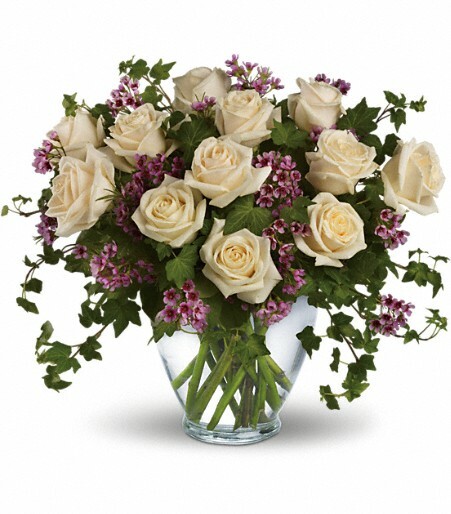 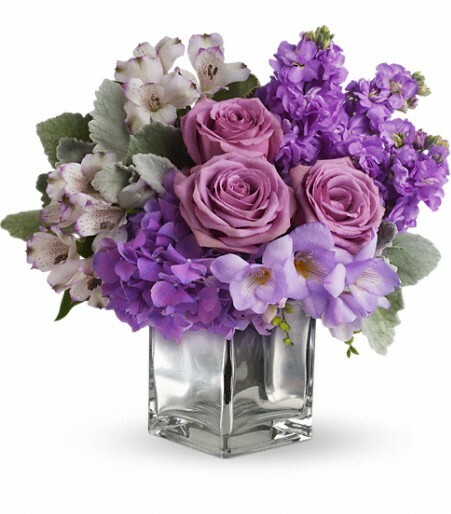 Pink stock and lisianthus, light blue delphinium, lavender roses and Matsumoto asters – accented with seeded eucalyptus and oregonia – are delivered in a clear glass vase.